She seems to have a dramatic character arc even just in the pilot, and definitely has a lot of room for her backstory to be explored. She's tough and she's vulnerable. And she's Ming-Na Wen, which means she'll be awesome! 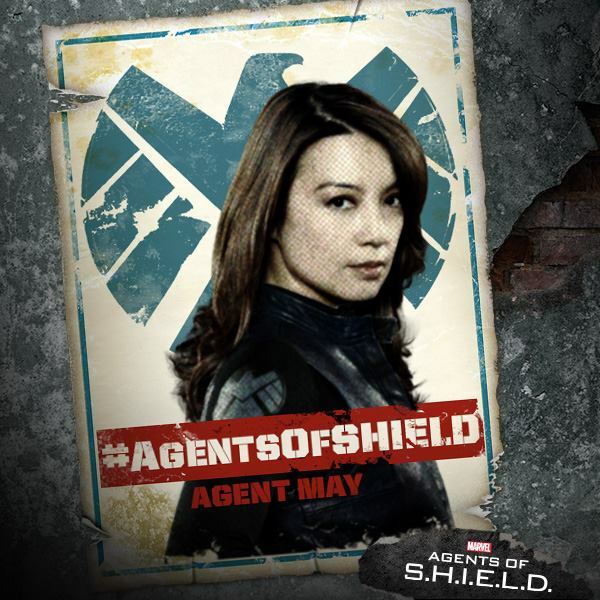 One of the veteran actors in the cast, Ming-Na has some great geek pedigree, having appeared in the original Street Fighter, Stargate Universe, Eureka, and LOTS of voice over work, including as the Disney princess Mulan! She has been acting for a long time, in a lot of different types of roles, perhaps most famously in ER. Although to me, she'll always be Camille Wray . 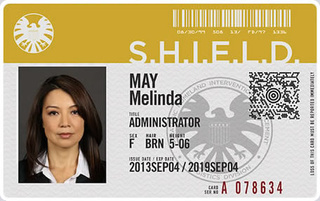 . . until, perhaps, the pilot episode of Agents of SHIELD? Will Agent May knock out Camille Wray? I can't wait to find out!